Would you like to sign more people up to this event? Over 2.5 million people have become Dementia Friends. Why not join them? 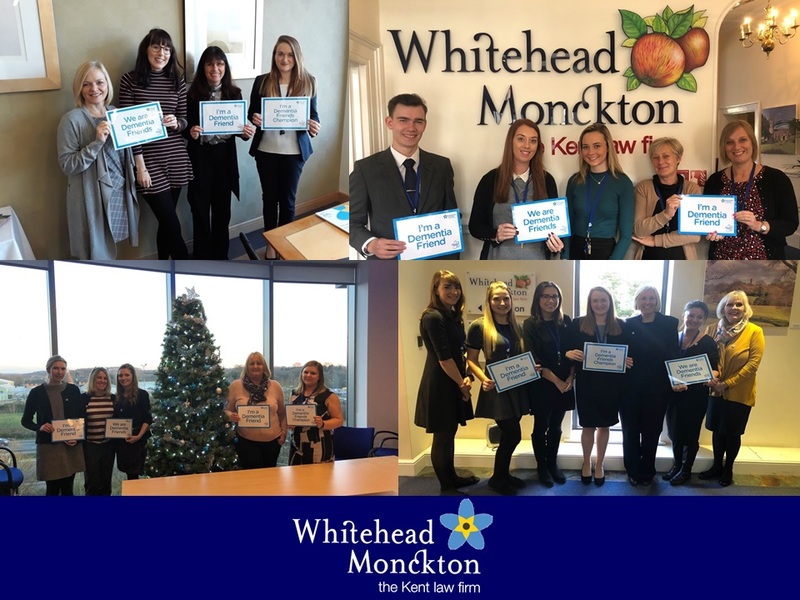 Whitehead Monckton Solicitors are supporting an Alzheimer’s Society campaign to tackle the stigma and lack of understanding around dementia. 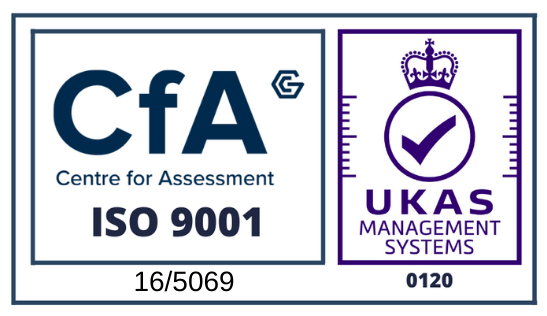 There are currently 850,000 people living with the condition in England. Bekka Fuszard and Amy Turner-Ives are running a free ‘Dementia Friends’ Information Session on Monday 20 May and are inviting local people to come along. 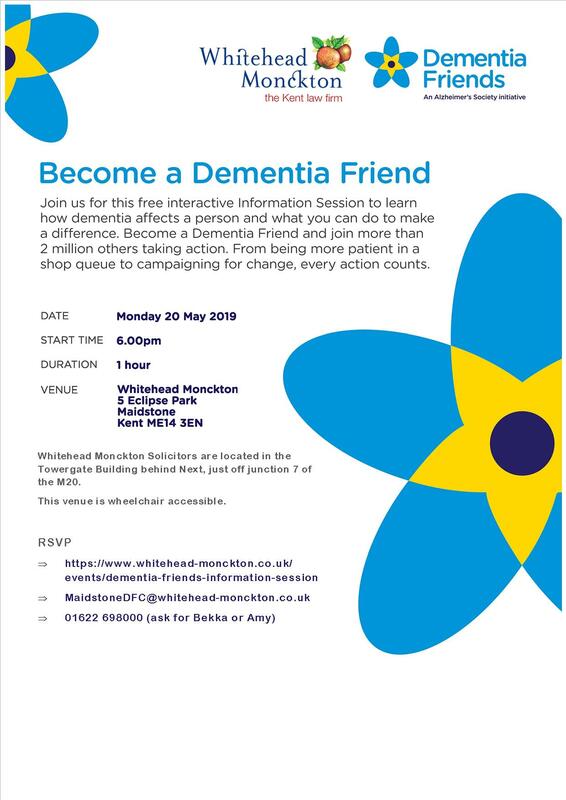 This Information Session is one of several public Information Sessions being held across Maidstone during Dementia Action Week 2019 by members of the ‘Building a Dementia Friendly Maidstone’ community group. Alzheimer’s Society’s Dementia Friends programme is the biggest ever initiative to change people’s perceptions of dementia. It aims to transform the way the nation thinks, talks and acts about the condition. Dementia Friends is about learning more about dementia and the small ways you can help. From telling friends about the Dementia Friends programme to visiting someone you know living with dementia, every action counts. The one-hour Information Session will take place at Whitehead Monckton, 5 Eclipse Park, Sittingbourne Road, Maidstone, Kent ME14 3EN (just off junction 7 of the M20, behind Next) at 6pm.